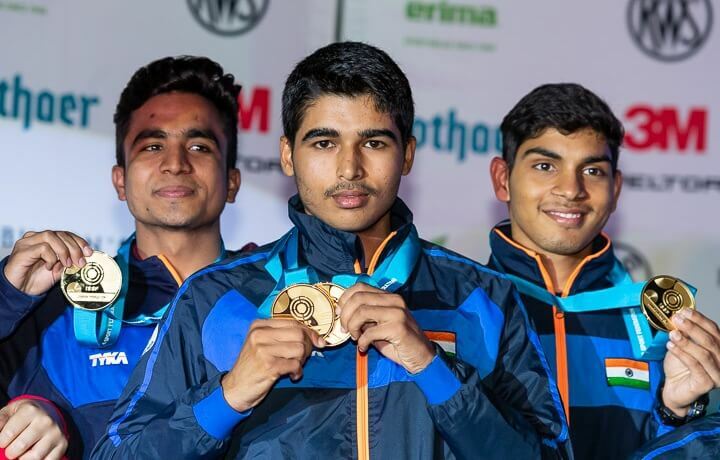 Saurabh Chaudhary set a new junior world record on the way to winning a gold medal in the junior men’s 10m air pistol at the ISSF Junior World Cup in Suhl, Germany. 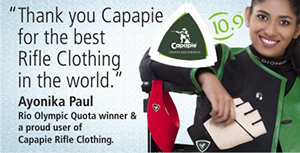 In the finals, 16-year-old, Saurabh was placed third after the first competition stage but came up with a solid performance, missing the 10th ring only twice in the next fourteen shots to set a new junior world record of 243.7. The earlier record was 242.5 set by China’s Wang Zhehao at the first ISSF Junior World Cup of the year held in Sydney. The silver was won by Korea’s Lim Hojin with 239.6 while Wang Zhehao of China took the bronze with 218.7. Another promising shooter from India, Anmol Jain, also made it to the finals but fell short of the podium, finishing 4th. In the qualifications, Saurabh shot the third best score of 583 while Anmol registered 580. 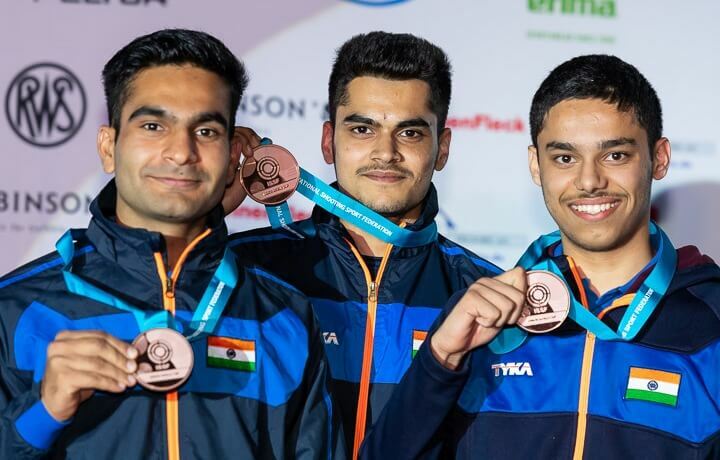 The trio of Saurabh, Anmol and Abhishek Arya won the team gold with a score of 1730, while the team of Arjun Singh Cheema, Gaurav Rana and Udhayveer Sidhu took the bronze with 1719. 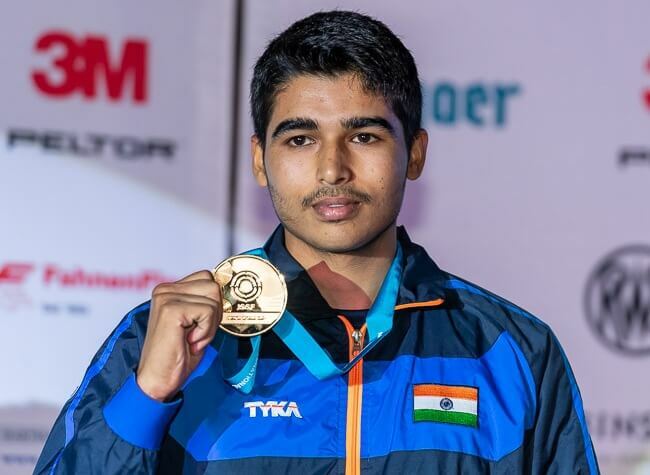 In December last year, Saurabh had qualified for the 2018 Youth Olympic Games with a gold and a junior world record of 243.1 at the 10th Asian Airgun Championship held in Wako City, Japan. 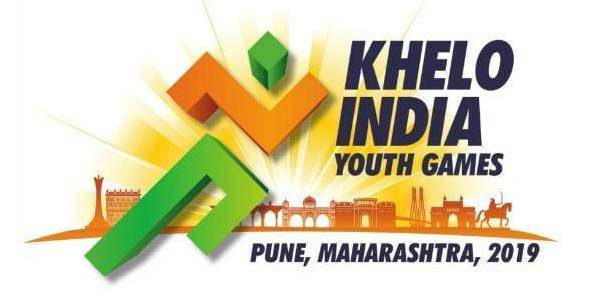 With 8 gold medals, 1 silver and 5 bronze, India continued to top the medal standings. Junior Men’s 10m Air Pistol: 1. Saurabh Chaudhary 243.7 (WRJ 583); 2. Lim Hojin (Kor) 239.6 (584); 3. Wang Zhehao (Chn) 218.7 (575). Team: 1. India 1730 (EWRJ); 2. China 1720; 3. India-B 1719.